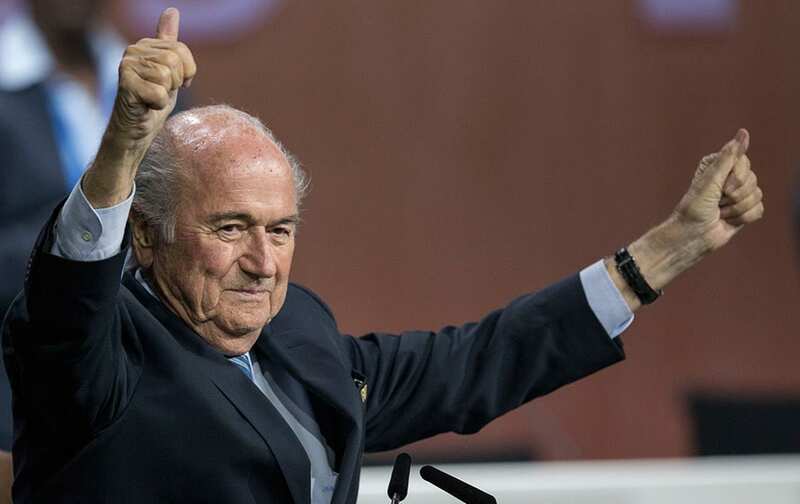 FIFA president Sepp Blatter after his election as President at the Hallenstadion in Zurich, Switzerland. 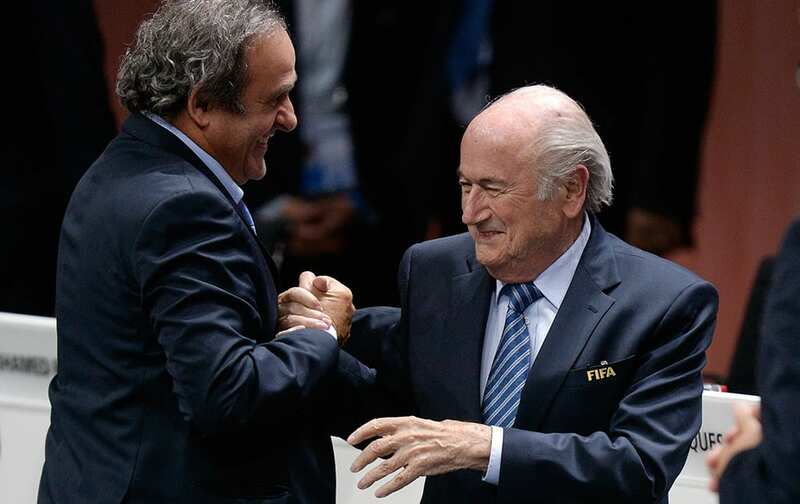 Re-elected FIFA president Sepp Blatter is congratulated by FIFA vice president and UEFA president Michel Platini after his speech during the 65th FIFA Congress held at the Hallenstadion in Zurich, Switzerland. 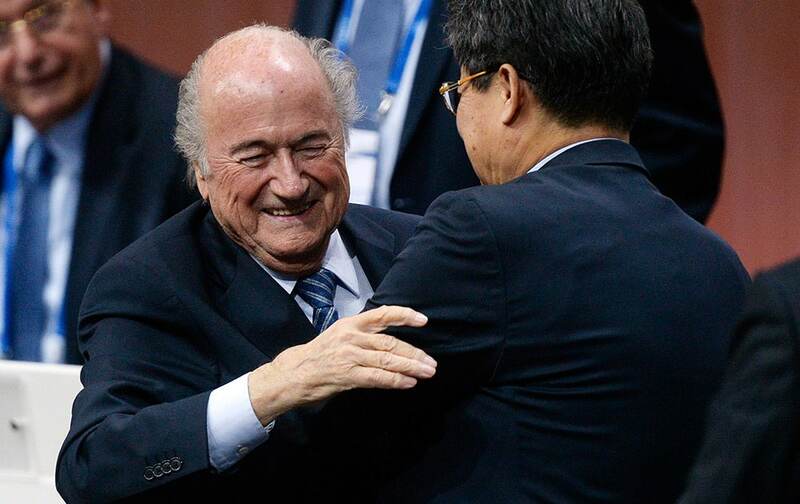 FIFA president Sepp Blatter is greeted after his re-election during the 65th FIFA Congress held at the Hallenstadion in Zurich, Switzerland. 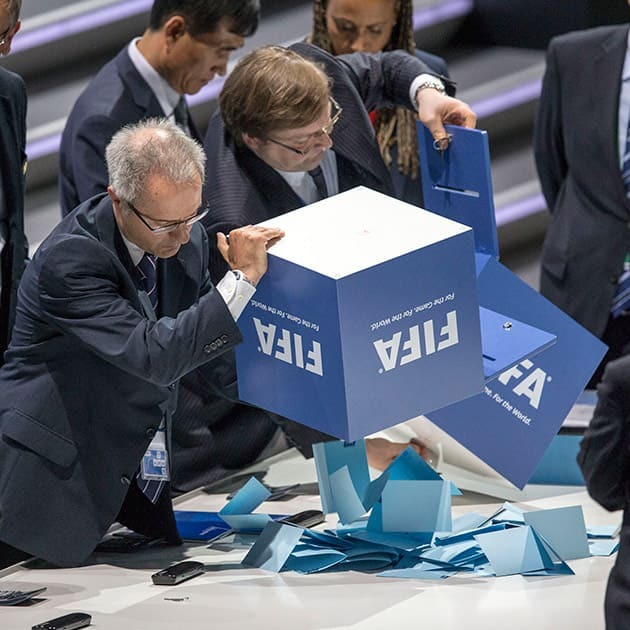 Two notaries empty ballot boxes full of ballot papers after the president's election between candidates Prince Ali bin al-Hussein of Jordan and current FIFA president Joseph S. Blatter of Switzerland during the 65th FIFA Congress held at the Hallenstadion in Zurich, Switzerland. 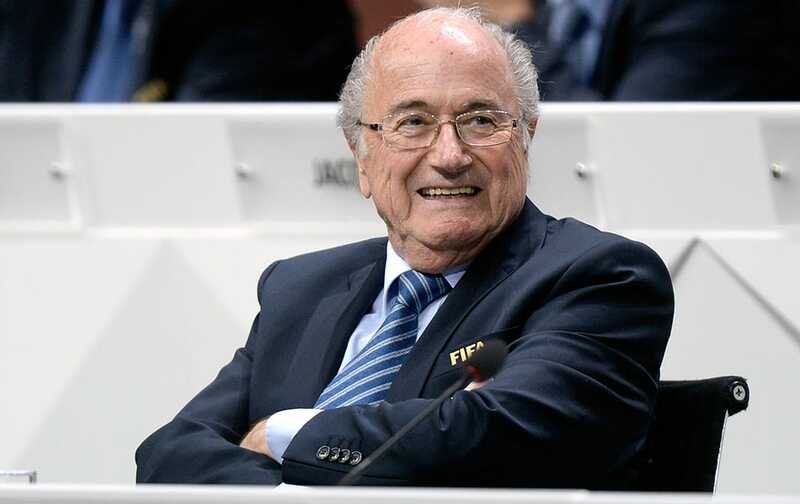 FIFA president Sepp Blatter smiles as he attends the 65th FIFA Congress held at the Hallenstadion in Zurich, Switzerland. 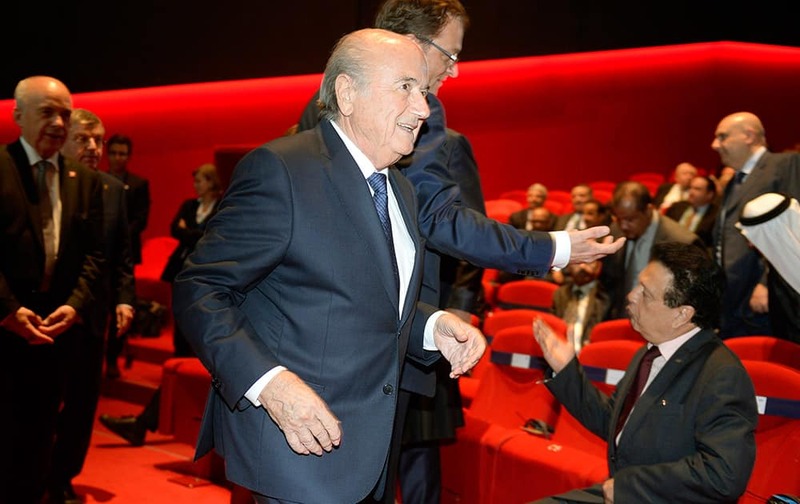 FIFA president Joseph S. Blatter is on his way out for lunch during the 65th FIFA Congress held at the Hallenstadion in Zurich, Switzerland. 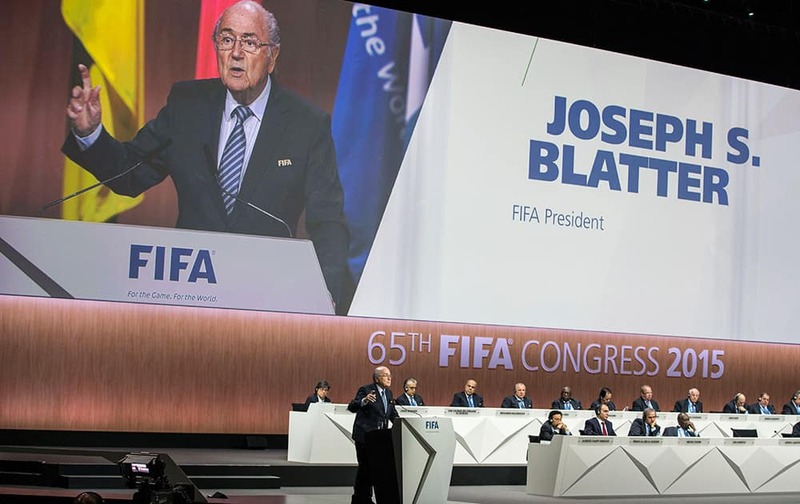 FIFA President Joseph S. Blatter speaks during the 65th FIFA Congress held at the Hallenstadion in Zurich, Switzerland. 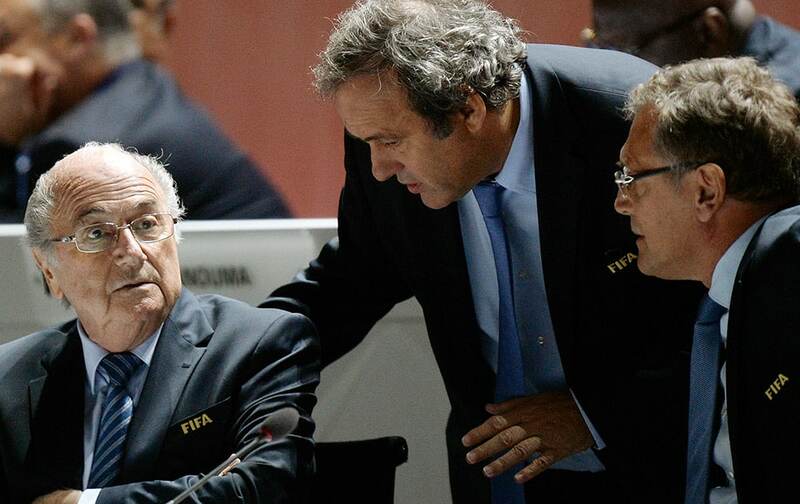 FIFA President Joseph S. Blatter, left, UEFA President Michel Platini, center, and FIFA Secretary General Jerome Valcke, right, are engaged in conversation during the 65th FIFA Congress held at the Hallenstadion in Zurich, Switzerland. 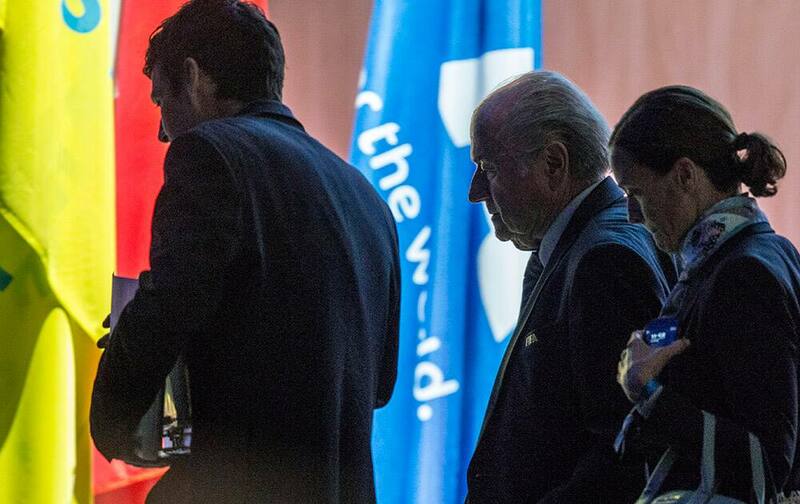 FIFA President Sepp Blatter arrives for the opening ceremony of the FIFA congress in Zurich, Switzerland. 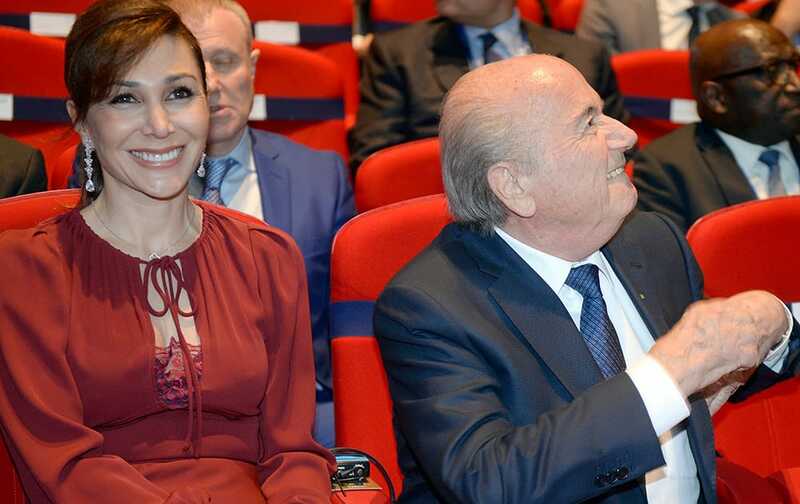 FIFA President Sepp Blatter sits next to his girlfriend Linda Gabrielian at the opening ceremony of the FIFA congress in Zuerich, Switzerland. 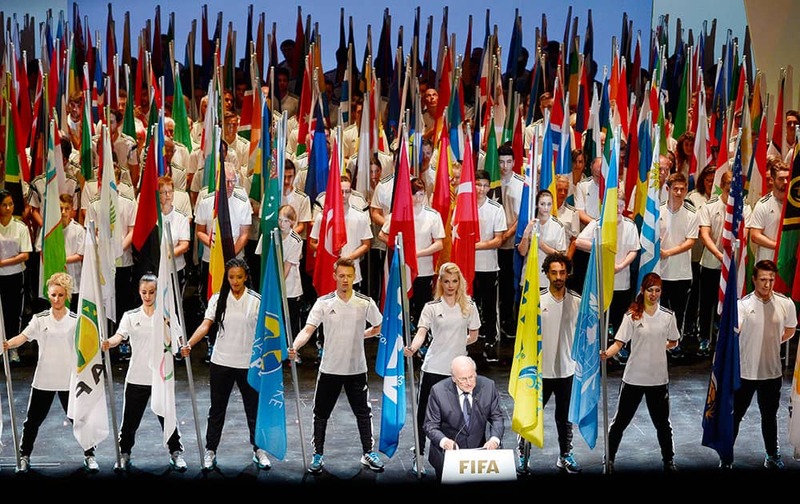 FIFA President Sepp Blatter, front speaks at the opening ceremony of the FIFA congress in Zuerich, Switzerland. 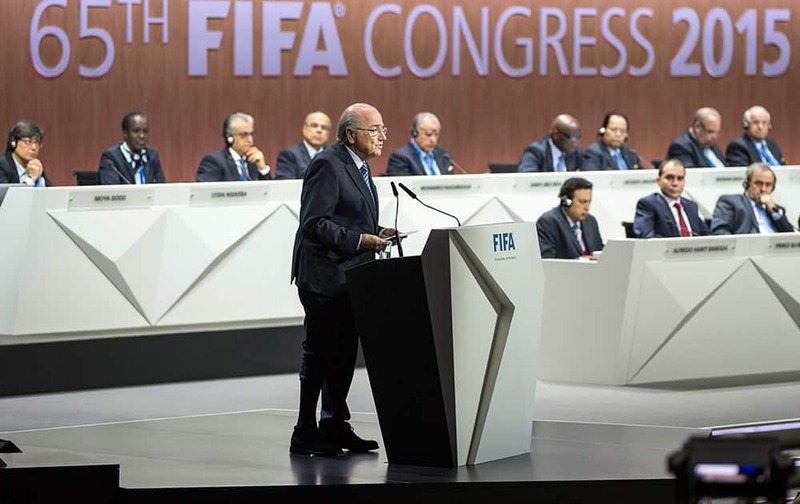 The FIFA congress with the president's election is scheduled for Friday, May 29, 2015 in Zurich.